St. Martin's Press, 9780312932664, 478pp. Then a new manuscript appears in her family's mailbox. The words cry out from the printed pages, Thea's voice unmistakable even a quarter century since the girl's mysterious disappearance. A new client bearing a dead man's name turns up in the office of P.I. Carlotta Carlyle, looking for her help in finding whoever is sending the book even if it turns out to be Thea herself. The investigation leads Carlotta to a prominent Boston family with deep connections and even deeper pockets, and which badly wants the tragic past to stay buried. But after a hit man tries to write his own ending to the saga, the cold case suddenly goes white hot and Carlotta may be the one who ends up getting burned. 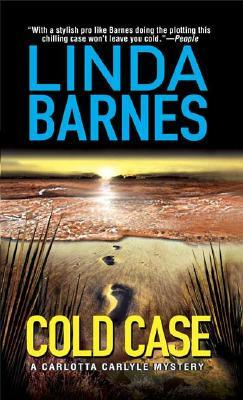 LINDA BARNES is the author of eleven previous Carlotta Carlyle mysteries and winner of the Anthony and American Mystery Awards. She lives in the Boston area with her husband and son.